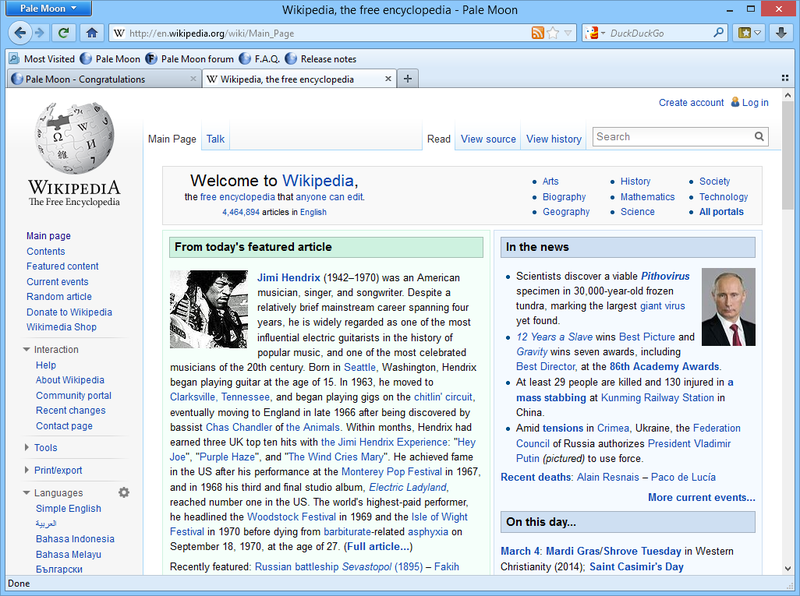 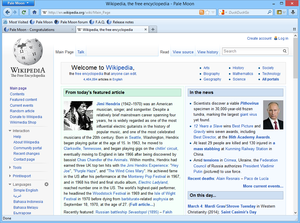 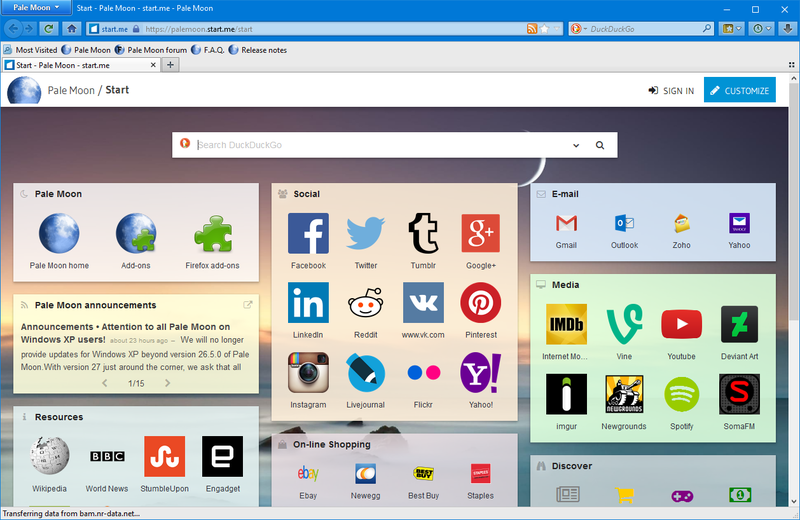 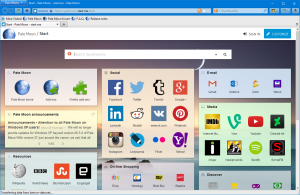 This page displays a few example screenshots of the browser on different operating systems and showing different configurations/features. 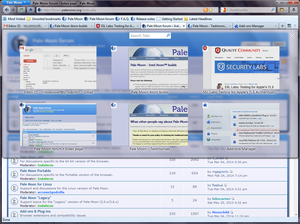 Pale Moon is highly configurable, and you can customize it to your heart's content. 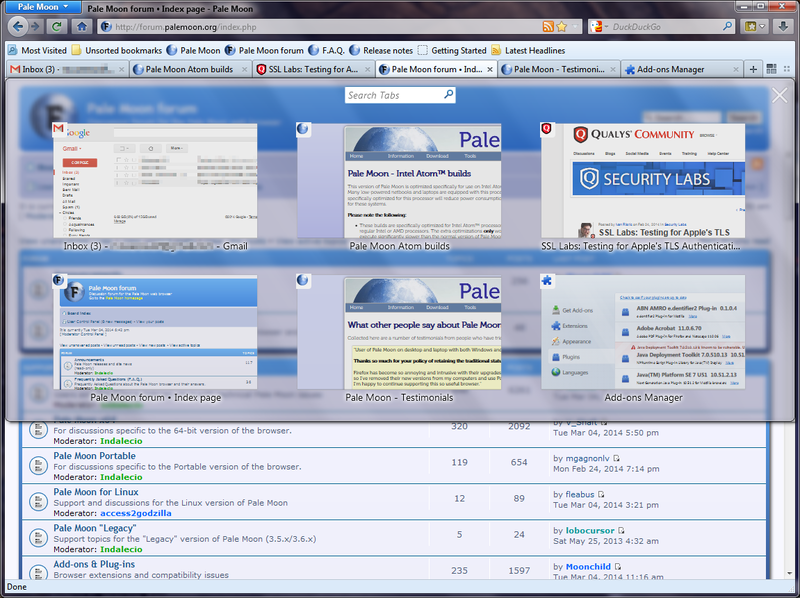 These screenshots are very basic examples of what the browser looks like.